Text Message Marketing Spam: Are you Guilty? 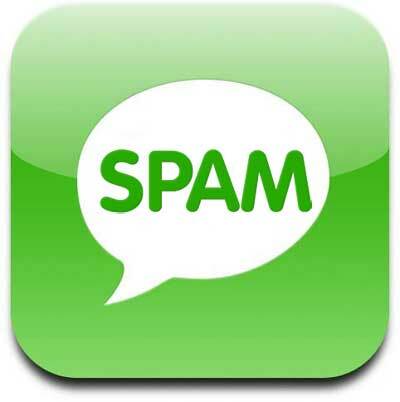 Blog Home » Text Message Marketing Spam: Are you Guilty? Text message marketing is one of the hottest ways to market your business. Every company is doing it these days because its quick, efficient and inexpensive. Plus, it’s the way to be contacted in today’s technology-savvy world. But, going about things wrong could result in becoming a spammer, and we all know that spam doesn’t taste good in anyone’s mouth. Don’t worry, if you are. A little bit of knowledge is all that is needed to overcome those hurdles and ensure that your campaign is all that… and a bag of chips. On the top of the knowledge line is understanding the laws regarded text marketing messages. It is easier than you think to violate these laws and the text message laws that are in place. The moment that you cross the line you’re a spammer, and this title is the quickest way to ruin your business. Once your text message marketing list has been created it is important to remember that those individuals that have opted-in for your list have done so only for one type of list. So, if they opted-in to receive messages from your keyword of ‘restaurant’ with general information about the establishment and coupons, this should be the one and only type of message that is sent to this subscriber. If you send messages to an individual who has opted-in for a specific keyword you cannot send messages related to other keywords. This is considered spam, and you’re also violating laws since you have not gained their permission to send this type of message to their cell phone. Keywords cannot be changed once the customer has opted-in for your list. Again, this is spam. This means if you delete a keyword out of your text message marketing platform you also delete the names that were on that list. If you change the keyword and then send messages to the same names who opted-in for another keyword you are guilty of spam. No matter how much contact you have with an individual, and no matter if they have already joined your loyalty club and email lists, you must still have permission to send them text messages. This is a permission based service. Some people must pay their cell phone provider for each message they receive, and they simply do not want to incur their costs. Others do not want text messages. Either way, make sure that you do not think that one opt-in is good for the next. By following these simple text marketing guidelines, you can prevent becoming known as a spammer and have a massive text message marketing list of loyal followers who love to hear from you!